Dr. John Stella is a radiologist with a vast practice experience of over 40 years. He received his medical degree from New York Medical College, attended an internship program at the University of South California – LAC+USC Medical Center and started his residency training at the University of Washington. The completion of his residency at Virginia Mason Medical Center followed. Over the course of his career, Dr. Stella has also contributed to multiple medical publications. He is board certified in radiology and diagnostic radiology. 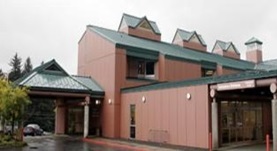 At the time, Dr. John Stella practices at Providence Kodiak Island Medical Center in Alaska. Dr. John Stella has contributed to 3 publications. Three-dimensional imaging for virtual assessment and treatment simulation in orthognathic surgery. Caloss, R., Atkins, K., Stella, J.P.; Oral Maxillofac Surg Clin North Am. 2007 Aug.
Polyvinylsiloxane as an alternative material for the intermediate orthognathic occlusal splint. Miles, B.A., Hansen, B.J., Stella, J.P.; J Oral Maxillofac Surg. 2006 Aug. The push osteotome: an alternative technique to preserve periodontal health in segmental Le Fort osteotomies: technique and retrospective review. Cillo, J. E.,Stella, J. P.; J Oral Maxillofac Surg. 2005 Feb.